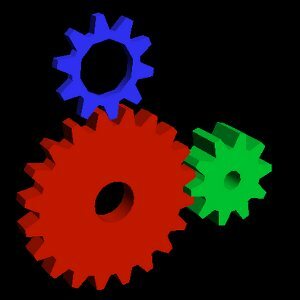 Just minutes after announcing Mesa 7.5 Release Candidate 2, Brian Paul has announced that he is in the process of pushing out Gallium3D state trackers for OpenGL ES 1.1 and OpenGL ES 2.0. These two new state trackers for this forthcoming Linux graphics architecture are coming just two weeks after an OpenVG state tracker was released for accelerating this other Khronos API. The OpenGL ES 1.1 and ES 2.0 state trackers each provide a subset of Mesa plus other ES-specific bits. The OpenGL ES API is designed for embedded systems that need 3D graphics capabilities. The OpenGL ES 1.x API is designed for fixed-function hardware and is similar to the mainline OpenGL 1.5 specification. The OpenGL ES 2.x API is designed for fully programmable hardware and is comparable to OpenGL 2.0. OpenGL ES 2.x supports vertex and fragment shaders using the OpenGL ES Shading Language. With these Gallium3D state trackers, now any Gallium3D-compatible graphics driver will be able to provide full hardware acceleration for OpenGL ES 1.1/2.0. This code is being committed to the Mesa Git repository under an "opengl-es" branch, but we suspect it will be met with the OpenVG state tracker in the master code-base in time for Mesa 7.6. The announcement concerning these two new Gallium3D state trackers for embedded systems support can be read on the Mesa3D development list. Now we just need to wait for the OpenCL state tracker and an OpenGL 3.1 state tracker.